The creation of a single local authority of Brighton and Hove and its elevation to a city in 2002, may achieve the integration of two very different places. Separated for 150 years by a line on a map, each has maintained its identity – Hove the more respectable and Brighton, in its own eyes at least, the centre of excitement. Both are old settlements, though Brighton was much more populous and successful. It is mentioned in Domesday Book and its prosperity came from fishing. It was also a port, though lacking a sheltered harbour, and in the late C17 had the largest population of any town in Sussex (5 p333). The fishing industry and thus the population then declined, for reasons that are not fully understood, though an inundation by the sea said to have occurred in 1699 in which 130 houses were destroyed (GM 1824 Part II, page 501) may have contributed. However, in the 1730s it began to grow as a resort. Benefiting from royal patronage and ease of access from London, this became increasingly important – by 1800 it provided employment for 40% of the population (ibid p343) and between 1811 and 1821 the population grew by 67% to over 24,000, the highest rate of increase of any English town in the period (ibid p346). Until the late C18, Brighton was confined to a densely populated area bounded by North Street, East Street, West Street and the shore, which was increasingly eroded. The parish church of St Nicholas stood on high ground outside the town. As at Rye, it was the only one and remained as such until 1870, though chapelries were built, starting with the late C18 Chapel Royal. The impetus was the accommodation of visitors, though wider social and moral considerations came to the fore by the 1840s. The town expanded initially in both directions along the coast. It was slower to move inland, though what were seen as some of the worst slums in England emerged near what is now the station and between St James Street and Carlton Hill. The rapid expansion of the early C19 hesitated between 1831 and 1841, when the rate was only 15% (4 p13), but the new railway to London made Brighton popular with day-trippers and also provided a second major source of employment in the railway works. In addition, new developments spread from smaller stations like London Road. There was further development along the lines of the Lewes and London Roads. By 1900 Preston had been absorbed and in the 1920s Patcham followed. Further out, housing estates planned in the 1930s, at Moulsecoomb, Whitehawk and Coldean, were completed after World War II. By contrast, Hove struggled. In the C18 it was one of several moribund parishes near the coast and on the Downs, which are all now incorporated in the town. 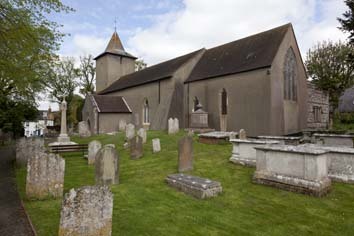 Several of the churches had been truncated, like Hove parish church (St Andrew) itself, or fallen into disuse (e g Aldrington, West Blatchington and Hangleton). The living of Hove was so poor that until the C19 it was held in plurality with Preston and a service was only held every six weeks (GM 1792 part 1 p105). After about 1820 there was new development near the coast and like Brighton it expanded inland from the late C19. To a greater extent than Brighton, Hove is Victorian and from the first attracted more retired residents. However, only after World War II were there sufficient people in Hangleton to take the church fully back into use. Ecclesiastically, Brighton remained in the grip of the vicar, who from 1824 to 1870 was the Rev Henry Michell Wagner. The history of the church in Brighton in the C19 is often seen in terms of H M Wagner and his equally formidable son, Father A D Wagner, who died in 1902. 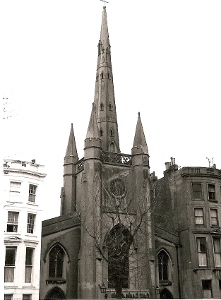 Descended from a line of hatters from Silesia, much of the family’s considerable wealth was devoted to Brighton, though the ICBS contributed to seven new churches between 1833 and 1883 (Hedley p174) and both Wagners were in sympathy with the objectives of the society, particularly the curtailment or even abolition of pew rents. There were already several new chapels – the largest and most handsome was St Peter (1824), which was being built when H M Wagner arrived. He was a generous donor to projects like St John Carlton Hill (1839), in one of the worst slum areas, and Christ Church. Montpelier Road (1837). St Paul was built for A D Wagner in 1846-48, even before his ordination. 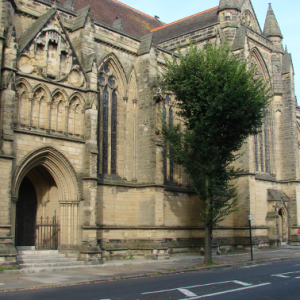 The Wagners believed that the poor were kept from church by pew rents and a shortage of places – All Souls, Eastern Road (1833) was unusual in making good provision for the poor (6 p24). The Religious Census of 1851 (See 2 for more details about Brighton) strengthened this belief, and led to an increase in church building, which lasted until the early C20. In contrast to his father, A D Wagner was a Tractarian, who founded new mission churches in the poorer areas, including the Resurrection (1879), the Annunciation (1864) and St Mary Magdalene (1862). In his father’s lifetime he built All Saints, Compton Avenue (1853), a larger project in a ‘better’ part of town. Father Wagner was the object of intense suspicion among those who did not share his views, exacerbated by the foundation of a sisterhood and such practices as the hearing of confessions. Even acts of material charity like the building of 460 workman’s houses in place of slums were widely misconstrued. After his father died came a long delayed ecclesiastical re-ordering and the establishment of new districts, which developed into parishes. Many early C19 chapels, seen as inconvenient, were extended or rebuilt. In 1873 the title of parish church passed from St Nicolas to the larger and more conveniently situated St Peter. Father Wagner remained a strong influence and himself paid for the most remarkable new church, St Bartholomew (1874). The whole family paid for St Martin (1874) as a memorial to their father. Despite the pre-eminence of the Wagners, much else was happening. St Michael was founded in 1858 by another High Church cleric, Charles Beanlands, and Father Wagner was not alone in his concern for social improvement. The best example of a parish that combined Christian mission and schemes of social improvement was St Barnabas, Hove (1882). This included clothing and maternity clubs and extensive visiting. It shows that, though slower to develop, Hove shared with Brighton many trends in church building and parochial expansion. 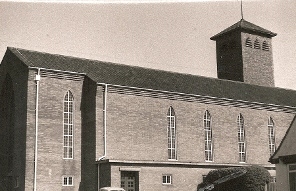 The original parish church of St Andrew was largely rebuilt from 1833 and there was already a new chapel, also St Andrew, in the newly developed area near the coast. Old St Andrew remained the parish church until All Saints was built from 1890. Though the term ‘London, Brighton and South Coast Religion’ (an allusion to the main railway company in Sussex) and its associations with ritualism was widely seen as the embodiment of Brighton Anglicanism, not all churches were of this type. After the Wagners, the best known C19 Brighton clergyman was Frederick Robertson, an evangelical who preached at Holy Trinity, Ship Street until his early death in 1853. This led to hysterical mourning amongst his adherents and his sermons are still available. 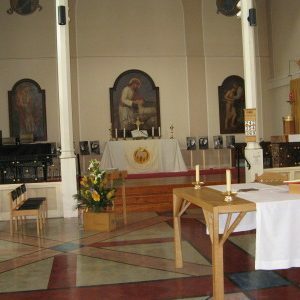 He was not unique – as late as 1903, when all but the most extreme ritualism was tolerated, only 13 out of 35 churches in Brighton used vestments and incense (11 pp146-48). 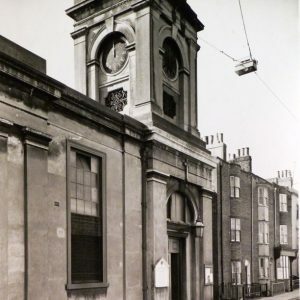 In both Brighton and Hove there were churches that were evangelical in their style of worship, e g St Luke, Prestonville and Holy Trinity, Blatchington Road. 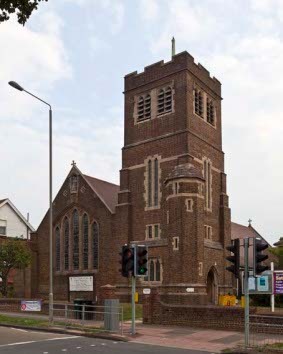 In the C20, the expansion of Brighton and Hove was followed by new churches. Initially gothic was preferred (e g Good Shepherd (started 1921)), but later ones, whether in the new council estates or privately developed areas, are more utilitarian. Most are by local architects like L K Hett or J L Denman. The only one to rise above the general level is H S Goodhart-Rendel’s St Wilfrid (1933), sadly lost to the Church. 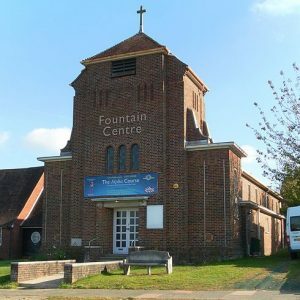 More recently, as the Church has contracted and once densely populated areas have been redeveloped or ceased to be residential, many churches have become redundant. At best, they have passed to other congregations (e g St John, Carlton Hill) or have like St Wilfrid found new uses, but too many have been pulled down. 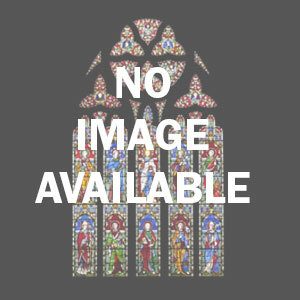 Full details are provided by Berys Shipley (See 9); among the major losses are All Saints, Compton Avenue (R C Carpenter), St Matthew (John Norton, 1881-83) and Ferrey’s St Anne, Burlington Street (1863). 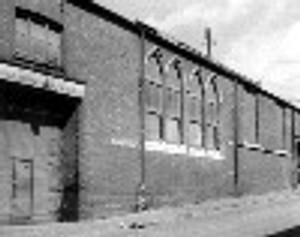 Some, like Holy Trinity, Ship Street, stood empty for over 20 years until an alternative use was found. A plan by the diocese to close or downgrade 18 churches was announced in 2003 and was the cause of great controversy. Proposals were in some cases drastic, including the disappearance of the parish of St Bartholomew but the storm of protest that followed meant that by 2017 there had been relatively little actual change. Most prominent was Holy Trinity, Blatchington Road which was initially proposed for demolition but has in the event been converted into a medical centre. This has changed the interior completely but at least preserves the exterior. 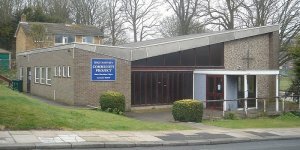 There have also been some closures of smaller churches on the outer housing estates (e g Holy Nativity, Bevendean) but this too remains in use for other purposes. 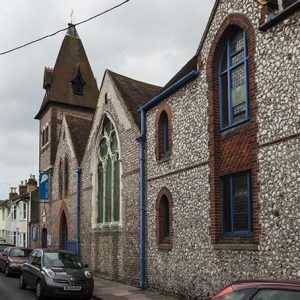 The churches of Brighton and Hove are thus in better shape than might have been feared 15 years ago but vigilance remains essential; some if not all the churches are masterpieces, but as a group they have no rival.